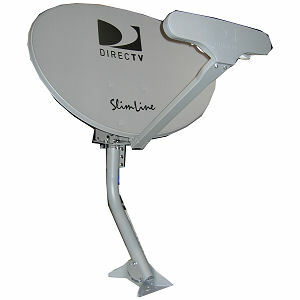 DIRECTV Slimline dish. Ka/Ku band DIRECTV approved 5LNB dish for receiving MPEG-4 HD transmissions from DIRECTV. Satellite sees 99, 101, 103, 110 and 119 satellites. For other dish options, see our DIRECTV satellite dish page.